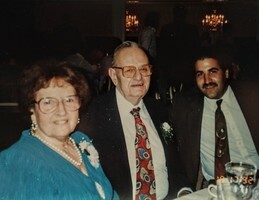 Provide comfort for the family of Roger Bruttomesso with a meaningful gesture of sympathy. Roger "Rob" Bruttomesso, Jr., 54, died unexpectedly on Tuesday, January 8, 2019 in Simsbury, CT. He was born in Torrington, CT on January 16, 1964. Rob spent most of his youth in Simsbury and enjoyed playing hockey and later in life took up golf, which he loved. He had a successful tile business in Florida for many years before moving back to Connecticut. During his time in Florida, he was awarded a U.S. Patent for the tile industry. He is survived by his parents, Barbara and Roger Bruttomesso of Naples, FL, his sister, Paula of Canton and his brother Tracey and his partner Christine Messenger of Bloomfield. He also leaves uncles, aunts and many cousins and friends, along with the last of his beloved Rottweilers, Emma. Rob’s winning personality and character won him many wonderful friends throughout life. The family will receive friends at the Vincent Funeral Home, 120 Albany Turnpike in Canton on Wednesday, January 16th from 6:00 PM to 8:00 PM. Funeral Mass of Christian Burial will be celebrated at 10:00 AM on Thursday, January 17th at St. Mary’s Church, 942 Hopmeadow Street in Simsbury. Burial will be private. In lieu of flowers, memorial donations may be made to Muddy Moose Rescue Mutts, P.O. Box 55, Pine Meadow, CT 06061 or via their paypal account muddymoosect@yahoo.com or to a charity of the donor’s choice. 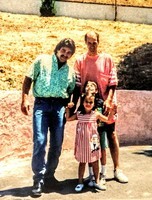 Please visit Rob’s “Book of Memories” at www.vincentfuneralhome.com for online tributes. 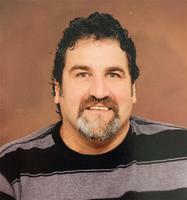 Provide comfort for the family of Roger "Rob" Bruttomesso by sending flowers. Only the good die young as the song goes . . . My heartfelt condolences to the Bruttomesso family. I have not seen Rob in years, he recently friended me on facebook and I teased him about not showing his face. Seeing this picture here floods me with so many memories from high school, and each and every one of them are good! He was great man, Happy Birthday in heaven Rob, may you rest in peace. Our deepest sympathy to to all of the family and friends of Rob. Although We hadn’t seen Rob in a few years, we fondly remember him at so many Follert parties. He was always a friendly face and the kind of guy that would go out of his way to say hi and strike up conversation. We hope that he’s at peace and will never forget his place in our family. Dear Barbara, Roger, Paula, Tracey, and family, Sending you the deepest sympathies for your loss of Rob. Our hearts weep and share your sorrow. Rob was a gentle and kind young man who always stepped up for his family, friends, and pups, whether for a family gathering, staying here in Cali to complete a huge project expertly or generously giving his Rolling Stones T-shirts to Meijin. I'll always remember his quiet smile and chuckle, gentle nod, the way he looked people in the eye and listened with his heart, and the thoughtful intelligence he applied to his projects and conversations. May the shared memories and love comfort you all. May Rob rest in peace. Loving hugs.